Oh look everyone! An updated commission sheet! With more information and up to date artwork! ERMAGERD!! 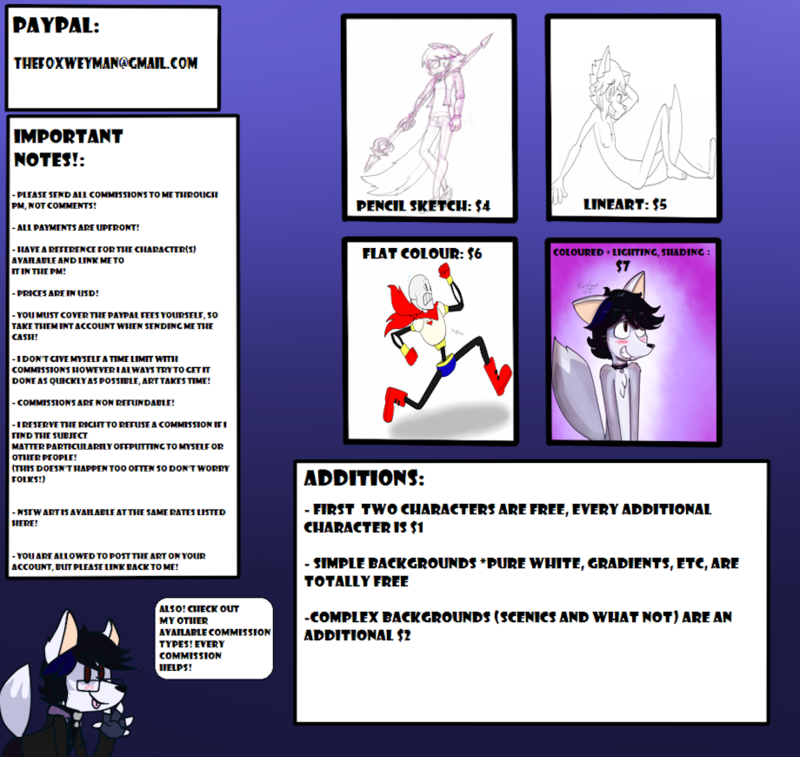 Yes I've decided to update my commission sheet, wirth more information, updated options that INCLUDE PENCIL SKETCHES! And best of all, prices have been lowered by a dollar! YAY SAVINGS! !